I'm so glad so many of you enjoyed my first post in my Boots Christmas top picks for this year! If you haven't yet seen what presents I picked out for £5 and under then click - here. Today I'm back with my top picks for Christmas presents for £10 and under - perfect for a close friend or colleague or to add to someone's stocking and a lovely little extra! 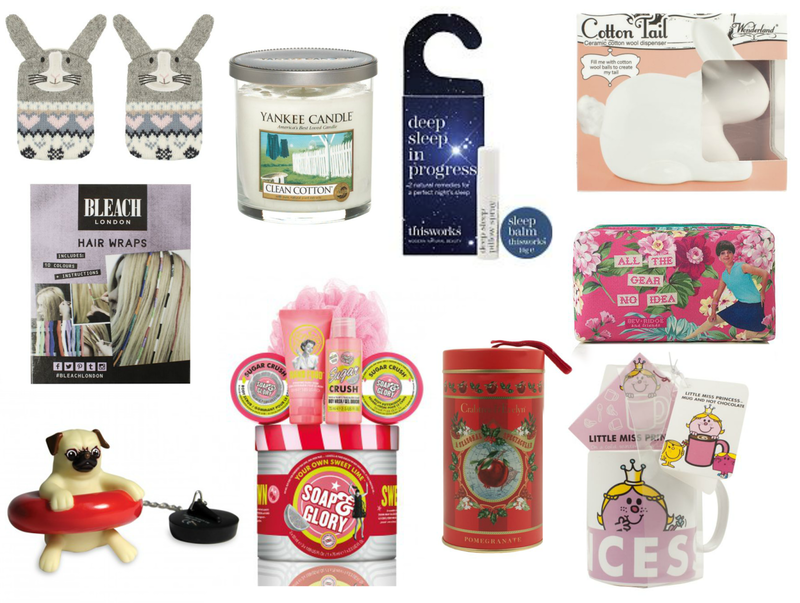 There are some seriously cute things here and some beauty bargains I would LOVE to get my blogger mitts on! Hand warmers are something which have saved me on a winter's day before! They are super handy if you're out and about alot in the cold weather or maybe you know someone who has to sit at a desk all day in this chilly weather? How cute are they!!!? Everything year I fall in love with everything in the Bev Ridge collection. Some of the stuf really makes me laugh and the retro cool designs are perfect for a BFF's pressie! Well this is just so adorable! Know someone who's just got their own place? A pug owner or obsessed lover of pugs? - this little plug can put the perfect finishing touch to someones bathroom! Hair wraps/hair braids they are on their way back and I'm still annoyed that I didn't get one done when I had the chance in Florida! Bleach London, the company behind some of the super cool hair colours you seen people rocking, have released their own braiding kit! What more would you want to do on Xmas day!? A princess mug AND hot chocolate all in one, this is the cutest present for a girl of any age! Everyone loves Mr. Men and Little Miss! Candles make amazing presents in my opinion and this fresh and clean scent is a personal favourite of mine! I can't imagine anyone not liking this for their home! This is the S&G gift set I have been the most excited about! The sugar crush scent is my favourite from this brand (and I know alot of you agree with me!) so what better than a whole set of products from the collection? PLUS they have made a sugar crush hand food - yes that's right, our fav hand cream with the amazing lime scent, sounds perfect! Us girls all use cotton wool right? This is the perfect little present for someone who loves that shabby chic, vintage kind of homeware, this is sooo cute and would look so sweet on a lovely dressing table. Now I want this more for myself than anything - shame on me this is a gift list not a Kirstie wishlist! I've been wanting to try product from This Works for years and these Christmas sets are so cute! I definitely need help sleeping some nights and these soothing and calming products would make a great present for those friends and family members who never stop! Hand cream's are a gift which are always used! I always know if I get my Mum or Granny hand cream it will be appreciated and these cute tins from Crabtree Evelyn look lovely as a present! Let me know if you are enjoy these to picks of mine and also comment below what things from Boots you would love to gt for Christmas! Also make sure you check out my advertiser of the month - Steph from Sugar & Spice! Steph is a 22 year old Welsh blonde with fabulous curly hair and style to match! 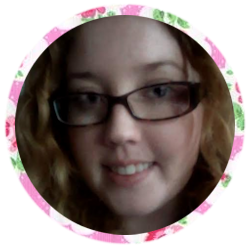 She loves Cath Kidston, lipsticks and her dog and if you love a good wishlist or beauty tips then head on over an check her out! Sugar and Spice is fun and girly - head over there and say hello! Great selection and got some good gift ideas there. Love the 'All The Gear, No Idea' make up bag!!! Oh my god, braids! I missed those, they were so much fun as a kid. Not to mention the weird contraptions that usually pulled out half your hair... haha! Love this list! I'm actually going to buy the pug plug for myself aha it's so adorable! The S&G sets this year are fantastic! Ahhh! The bath plug pug is just too cute!